Home / Restaurants / Reel Seafood Co. In the Capital Region, you can't get much closer to the sea than Reel Seafood Co. on Wolf Road in Albany! 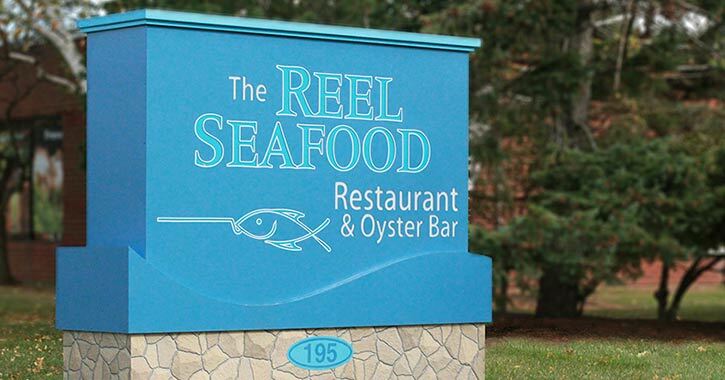 One of the area's only restaurants to offer an extensive raw bar selection, Reel Seafood Co. serves up fresh fish delivered to them daily, as well as options for meat lovers and vegetarians alike. We spoke with owner Faith Takes to learn more about this seafood lover's paradise. Founded in 1983 by Capital Region restaurateur and philanthropist LeGrande Serras, Reel Seafood Co. not only serves delicious food, but is entrenched in the community it serves. "We attend and support over 30 community events a year with our founder, LeGrande Serras, serving as the celebrity auctioneer raising hundreds of thousands of dollars for local charities," says Takes. "These activities show our deep commitment to the community." Faith became the new owner of The Reel Seafood Co. in 2014, fulfilling her lifelong dream of operating a Capital Region restaurant. She loves the ability to provide local seafood lovers with an extensive range of quality seafood options to choose from. "Seafood is our main menu item as it is a specialty that is healthy, low in calories and delicious when prepared properly," says Takes. 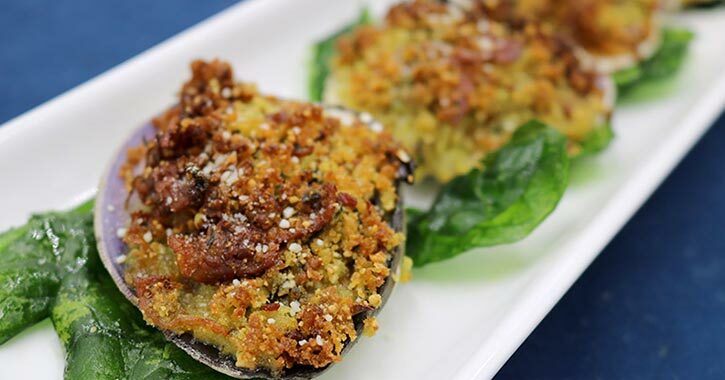 "Our chefs work hard to develop dishes that are appealing to the palate and never boring." And it shows! Reel Seafood Co. has been consistently voted the Number 1 seafood restaurant and raw bar in the Capital Region for over 35 years. The most popular items on the menu are the Clam Chowder and Tuscan Salmon--a North Atlantic salmon filet, pan-seared atop wilted garlic baby spinach & topped with a tomato mozzarella bruschetta--but Reel Seafood Co. also cooks up succulent steaks as well as vegetarian pasta options. Delicious Seafood for Brunch & Catering, Too! You may love brunch, but have you ever attended a seafood brunch?! Every weekend from 11AM-2PM, Reel Seafood Co. serves up traditional breakfast classics with a seafood twist along with specialty cocktails and live music. Their bunches have become so popular, Reel Seafood now offers them on Saturdays as well as Sundays. Have a special occasion coming up? Reel Seafood Co. can cater your event! "I think most people don't think of us as caterers," says Takes. "We offer both on-site and off-site banquet and catering services including business meetings, and all kinds of special events such as weddings, graduations, and birthdays." 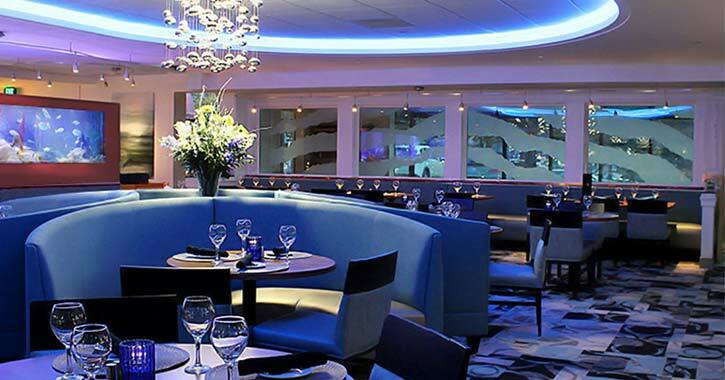 Interested in experiencing the Number 1 seafood restaurant and raw bar in the Capital Region? Learn more about Real Seafood Co. including reviews, specials, and upcoming events here.